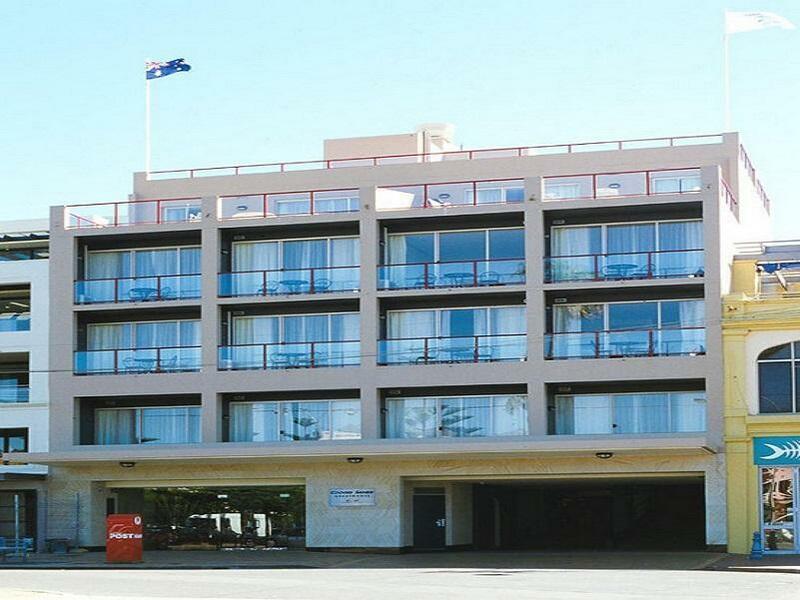 للمسافرين الذين يرغبون أن يعيشو كل ما تقدمه سيدني, Coogee Sands Hotel هو الخيار الأمثل. إن موقعه الجيد الذي يبعد 8.0 Km فقط عن مركز المدينة يساعد النزلاء على الاستمتاع بمعالم المدينة ونشاطاتها. كما يمكن الوصول بسهولة إلى Kite Power Australia, كايت باور, كوجي. استمتع بالخدمات الراقية والضيافة التي لا مثيل لها بهذا الفندق في سيدني. يقدم الفندق فرصة للاستمتاع بشريحة واسعة من الخدمات بما فيها: مكتب الاستقبال على مدار الساعة, مرافق مخصصة لذوي الاحتياجات الخاصة, تخزين الأمتعة, صف السيارات, خدمة الغرف . لقد جهزت هذه الإقامة الفندقية بعناية فائقة لتوفر مستوى عالي من الراحة. في بعض الغرف يجد النزيل بياضات, مناشف, غرف لغير المدخنين, مكيف هواء, تدفئة. يقدم الفندق مجموعة واسعة من وسائل الراحة المتنوعة، كمثل: تدليك. يحظى فندق Coogee Sands Hotel بموقع ممتاز وخدمات يصعب منافستها. يُرجى العلم بأن مكان انتظار السيارات يخضع للتوافر. حد الارتفاع المسموح به في ساحة انتظار السيارات هو 1.8 متر. The room was noisy, they could invest in some door sealing. I could see a gap around the entire door and could hear everything in the hallway. Staff were friendly and in a fantastic location but if you are a light sleeper don't stay here. Stayed at this hotel several times over the past 7 or 8 years. Have tried others in the area but I keep returning here. Very near, super clean & the rooms have everything you need for a stay. Coffee facilities, iron, comfy beds & good pressure in the showers. With the incredible Coogee Beach right at your front door it's ideal for anyone on a holiday. There's some great running paths that lead to South Coogee or Bondi if you head North. Plenty of good restaurants & cafes nearby. There is the pub next door but you don't hear noise during the weekend. It's very quiet. Location is perfect! Location was good. Near to bus station and many buses to take. Coogee beach was beautiful. Room was spacious and comfortable. But there was no view at all. Construction nearby, on reaching there, tired but couldn't rest well with all the knockings going on. Cleanliness could have been better by the housekeeping but acceptable. Opted for beachfront room.... Beautiful view, but noise from patrons leaving the Pavillion next door, in the wee hours of Saturday morning, was not great! Staff very friendly and helpful! Free parking a bonus! I loved the location and all of the staff were friendly and helpful. The room was clean and the bed was comfortable. The kitchenette provided the basics for meals and snacks in the room. The bathroom was extremely small with no space for toiletries though and it was difficult the get in and out of the bathroom due to being so cramped. The linen was flawless but don't expect luxury fitouts / appliances or toiletries. After a (very) long-haul flight, I just wanted somewhere by the sea to recover........and this was just the spot. 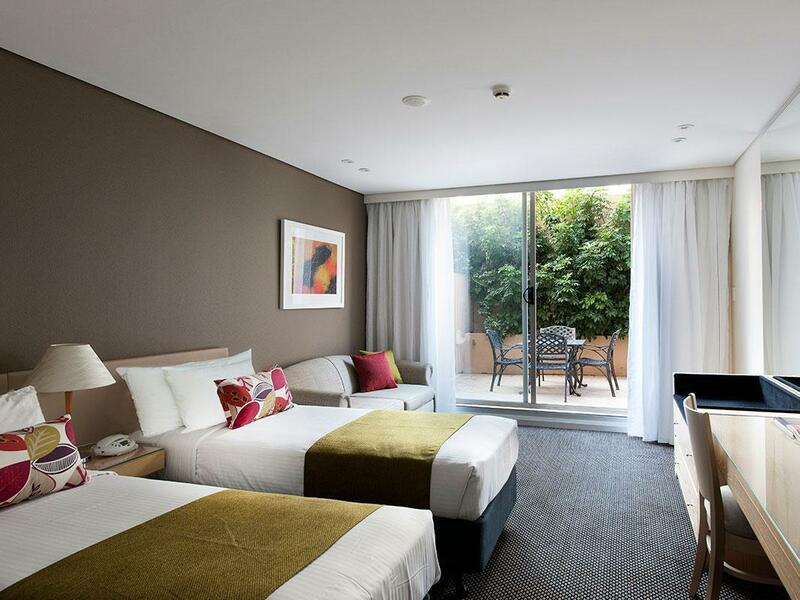 The hotel is located virtually on Coogee beach, and there are some great cafes, restaurants & shops very close by. The room was very pleasant and the hotel staff went out of their way to help and make our stay just right! We shall be back! This is the second time I've stayed at this hotel. Fantastic location right near the beach. Shops, supermarkets, cafes, hotel all within walking distance. Self-contained rooms make it ideal for long-term stays. The first day in Australia. All things were brand new for me. Great location,have a garage, friendly staff. Selected this hotel for our 1st night in Sydney because of the location. 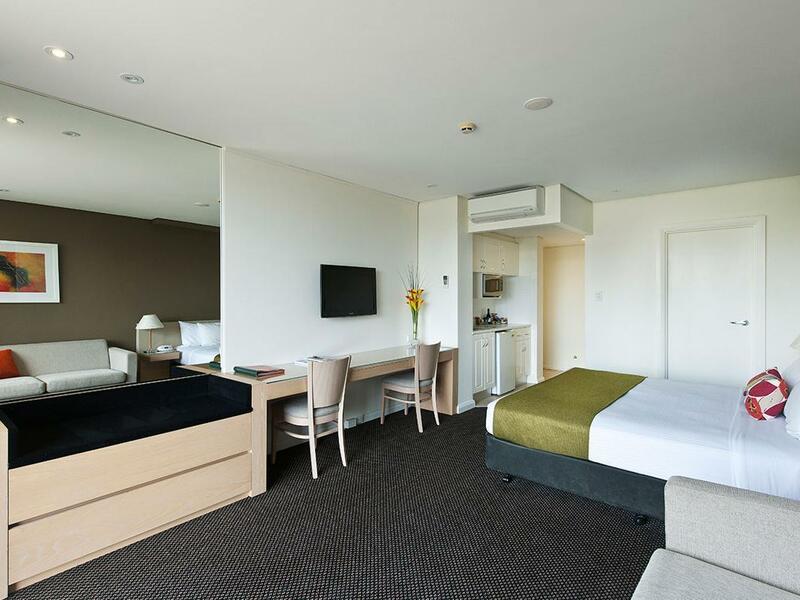 We were about to begin a road trip up to Cairns & I thought this hotel which was not too far from the airport & on the ocean would be a good place to start. Parking is free which is a +ve, its located right beside a beach, ( a small one), there are lots of restaurants close by, a grocery store within walking distance....all good.. Now for the negatives-Our room was a disappointment, I was expecting a more pleasant place to stay. We looked onto a brick wall. We never did figure out how the lights turned on. We mentioned this on checkout, the clerk said they should have been activated when we used our key to enter the room. The later really isn’t a complaint because the bedside lights turned on & honestly we were so fatigued from our travelling from the eastern portion of Canada. I might add that traffic in Sydney is yuck! It took us 1 hr to get out of the city, traffic is crazy. Near to the beach, Clean and plenty of restaurants nearby. Overall it was not too bad. The only disappointment is the hotel only provide 1 day complimentary wifi for 1 user. You have to pay A$8 for 1 day if wish to use the wifi. This is very uncommon if compare to hotels in other Asian countries.